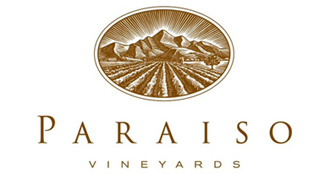 Paraiso’s 400-acre estate vineyard lies at the southern end of the Santa Lucia Highlands AVA in Monterey County, California. Winegrape pioneers of the region, Rich and Claudia Smith began planting this property in 1973. Today, Rich and his son Jason manage almost 150,000 vines in 16 different blocks. The land provides varying soils, elevations and microclimates, producing grapes uniquely expressive of their individual sites. Current fads aside, the Smiths have employed sustainable farming techniques since day one. Knowing that their vineyard could be in the family for generations, Rich and Claudia have always been keenly aware of their own environment as well as their potential impact on the surrounding area. Rich was a founding member of the Central Coast Vineyard Team, an organization that later created the state’s first sustainable farming certification for winegrapes, called Sustainability in Practice, or SIPTM Certified Sustainable. Paraiso Vineyards was the first vineyard in the Santa Lucia Highlands to earn the certification in 2008. Santa Lucia Highlands is a long, narrow AVA that runs down the western side of the Salinas Valley in Monterey and is California’s premier, cool-climate winegrowing district. Its fifty famed mountainside vineyard estates and associated award-winning wine labels set the standard for New World Pinot Noir, Chardonnay and Syrah. Every great winegrowing district has one thing in common: a truly special location or sense of place. For the SLH, that sense of place stems from its elevated, mountainside perch and its close proximity to the cold waters of Monterey Bay. Approximately 6,000 acres of vinifera are under cultivation in the SLH. The winegrowers of the Highlands are innovators. “Growing Green” is more than a catch phrase here; conscientious viticultural standards, whether organic, biodynamic, or sustainable, have long been the norm.